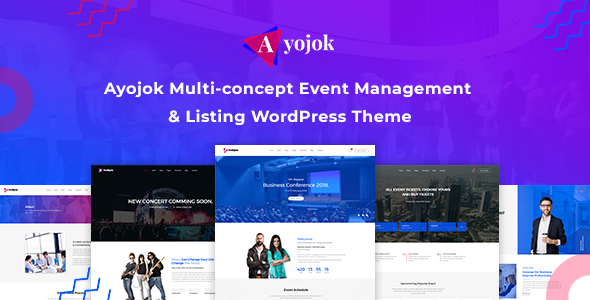 Ayojok – Events and Conference WordPress Theme is a clean and modern, vibrant and energetic, elegant and flexible theme. Ayojok boasts a purpose-oriented design and special features, such as appointment forms, services, event plans, schedules, pricing plans and others. This captivating WP Theme is perfect for seamless execution of events, as well conference, meeting, seminar, trade expos, business meet up, financial improvement of company, concert, and travel-related events.